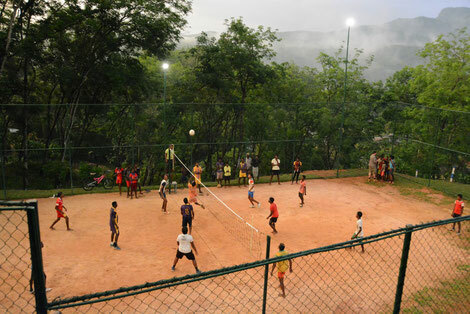 The team in Maha Oya has been going for 17 years but it needed a successful application to the Fair Trade committee to finally get a proper volleyball court. The players take the game very seriously, there are three teams and training starts at 4pm until 6.30pm, seven days a week. Thanks to the Fair Trade money the Sudaroly Sports Club doesn’t only have a full size court, properly secured by a fence, but also flood lights which make training in the evenings easier and a lot more fun. Also, young Kanagaratnam is supported. He is not only worker in a tree nursery - as his father and grandfather had been, he also runs marathons. 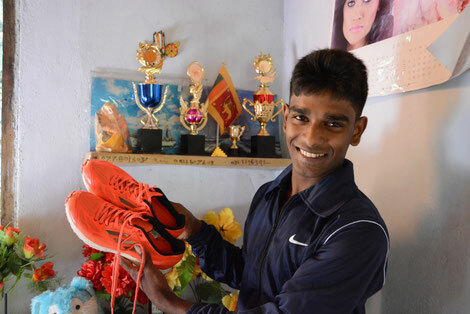 He trains every day and the Fair Trade committee supports him with new, lighter running shoes!